Ada pertanyaan untuk Hotel Villa Fontaine Tokyo-Jimbocho? Terletak di pusat Akihabara, Hotel Villa Fontaine Tokyo-Jimbocho adalah tempat ideal untuk menelusuri Tokyo. Dari sini, para tamu dapat menikmati akses mudah ke semua hal yang dimiliki oleh kota yang aktif ini. Properti ini terletak di sekitar obyek wisata populer di kota ini, contohnya Museum Kriminologi Universitas Meiji, Katedral Nicholai, Tokyo Wonder Site Hongo. Gunakan kesempatan untuk menikmati pelayanan dan fasilitas yang tidak tertandingi di properti yang ada Tokyo ini. Sejumlah pilihan fasilitas kelas atas,seperti WiFi gratis di semua kamar, resepsionis 24 jam, penyimpanan barang, Wi-fi di tempat umum, tempat parkir mobil dapat dinikmati di sini. Masukilah salah satu dari 72 kamar yang menggoda di sini dan lepaskan rasa penat Anda dengan sejumlah fasilitas yang tersedia seperti televisi layar datar, pelembab ruangan (humidifier), sandal, handuk, akses internet WiFi (gratis). Properti ini menawarkan fasilitas rekreasi yang mengagumkan seperti pijat, untuk memberikan pengalaman yang tidak terlupakan. Temukan perpaduan menarik dari pelayanan profesional dan sejumlah fasilitas yang ada di Hotel Villa Fontaine Tokyo-Jimbocho. The best hotel for my family of 8 people trip to Tokyo,. You will enjoy, room size is reasonable, proper instruction/guide in photos and English on how to operate heater/aircon/remote, staff service is excellent. I LOVE this hotel. highly recommended. Price is good. It was a very good hotel with helpful staff. The room itself was not too big however I was very satisfied with it. The location is about 3-5 minutes walk from Jimbocho station. Very clean and amenities are changed or filled up everyday. I will definitely come back and will recommend to others. This hotel has all you need, a comfortable bed and friendly service, and convenient location close to train/subway station. The rooms and the bed are quite small, however this isn't really an issue if you aren't spending much time in the room other than sleeping. The breakfast setup is a bit odd, with the meal served in boxes (one plate of eggs and a side to heat up and one serve of sandwiches), and is eaten in the hotel lobby. The meals themselves aren't bad though. Overall, this is a good place to stay and the location is really great! near to jimbocho station (exit 5) for 5 minutes walk. kombini and drug store near the exit 5. room are nice, cozy and smells good. condition and ambiance are beyond my expectation and this are well portrayed on the Japanese cleanliness and friendliness. I booked a non-smoking room with breakfast. I got a stinky smoking room with no breakfast. The older lady at the desk was rather nasty that I would even ask for a non-smoking room. Also, most HVF properties have a 14:00 check-in. I got there just after 14:00 and she wanted me to pay an extra 1650 for EARLY check-in. It was the same when I left. Most HVF's have a 12:00 check-out. At 11:01 I got a call that they will charge me 1650 late check-out if I do not vacate NOW. Will never stay here again. I'd recommend the HVF Kayabacho - the staff there are the best!!! Stay at Hotel Villa Fontaine Jimbocho for 9 nights. Pay SGD1500 (tax included+breakfast) during Sakura season. 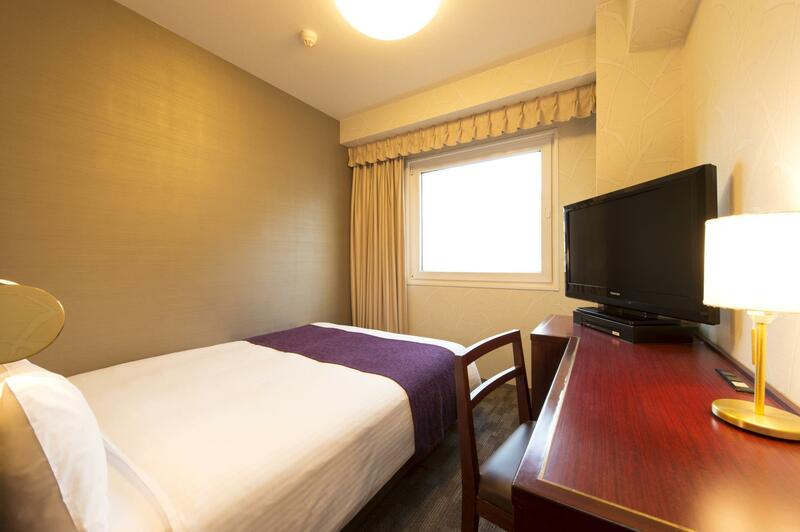 Great location and very near the subway (Toei Shinjuku Line, Mita Line, Hanzomon Line (to Shibuya). Very near the Best Curry Rice Shop in Tokyo, Staff speak English especially the tall male receptionist who work the day shift. Very near cheap Japanese food restaurants. Clean + Laundry at 5th floor (300 Yen). Walking distance to Akihabara and Tokyo Dome (around 1km). Near convenience shops as well though elevator to subway (A9) a bit far. Nearest entrance to subway (A5) need to climb stairs. Great Location and near good food. We arrived from canada late at night in a strange city and it was very easy to take the tokyo metro to get to this hotel. Japanese people are extremely helpful. After asking a gentleman for directions he returned to us within minutes to apoligize that he had made a mistake and brought us personally to the hotel entrance. The hotel was great in a safe and nice area. We were able to walk in the streets with no worry. Close to subway and dozens of good cheap restaurants. Great central location. Friendly helpful staff. Rooms were a bit small by Western standards but pretty standard for this price range in Tokyo. The hotel is about 100m from Jimbocho station and Jimbocho has dozens of good cheap resturants, most with either menus in English or picture menus. Location, 5 minutes from the subway. Nice, clean. Modern, great! this is more of boutique hotel. very small hotel, nice, clean, great service from the staff. the location is great! there are many affordable restaurants around the area. rooms are small but that is the case in most hotels in tokyo. actually this was by far the best! Room is small. Hotel is not by the main road. No dining area for breakfast. The Hotel Villa Fontaine chain of hotel has never fail me. Great value for money. This specific hotel at Jimbocho is not located by the main road so you have to figure how to get there in advance with Google Map once you exit Tokyo Metro Exit A5. Also there is no dining area for breakfast. You have to collect it at the reception or have it send to your room. That said, it has every other thing necessary for business travellers. Close to the subway station. Clean. Great service. Fluent in English. Free movies! El hotel esta solo a unos pasos de la estacion del metro Jimbocho. Los cuartos estan super limpios y el servicio es de primera. The sheet had a small stain. //////// La sabana tenia una mancha. This hotel is really close to the subway station. The room is small compared to other hotels, so I wouldn't recommend that bed if you are an obese couple because it's a bit narrow. The hotel is close to restaurants including a McDonald's (if you are into that stuff). There's a cheap Hokkaido style Ramen shop across the street with a machine outside that sells cheap drinks. The people at the front desk are fluent in English and they are awesome. They ordered a pizza for my sister and they even helped us confirm a reservation in Kyoto. ///// Este hotel esta muy cerca a la estacion del metro. El cuarto es lo suficientemente amplio para alguien que no necesita mucho espacio. Si estas gordito, la cama tal vez no sea amplia para tus lonjas, sobre todo si son dos. Antes de reservar este cuarto, lei que la gente se quejaba por el tamaño del cuarto, pero tienes que estar como hulk o traer maletas enormes para que no quepas en este cuarto. Hay muchos restaurantes alrededor. Al cruzar la calle puedes ver el restaurante de Ramen al estilo Hokkaido Kuma Chan. Afuera del restaurante hay una maquina con latas de bebida muy baratas. El personal habla Ingles y nos ayudaron a confirmar la reservacion en otro hotel. 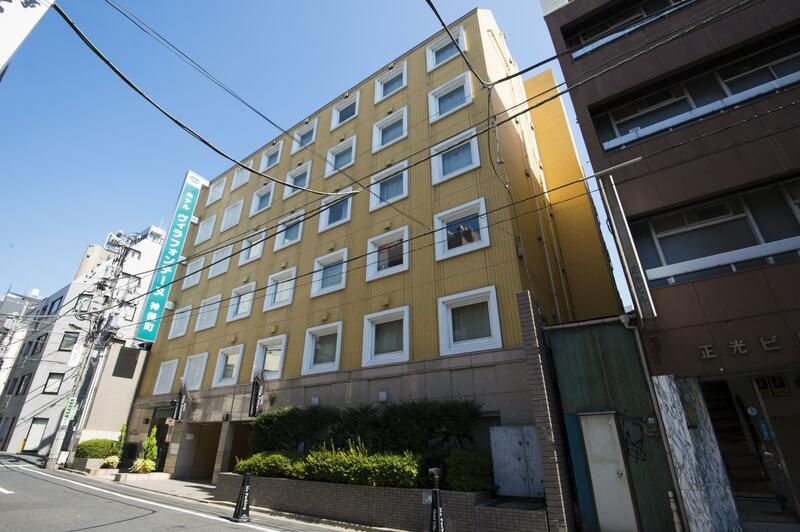 Good location near the Jimbocho subway station, making it very convenient to get around in Tokyo. A lot of restaurants within the walking distance. The hotel is close to the Meiji University. Room was too small for two people - no room for cases. Not easy to find. Good area once found.